Modern apartment with bedroom, a kitchen with a living room (an extra bed for 2 persons) and a bathroom. Modern apartment consists of a bedroom, kitchen with extra bed, bathroom, living room and terrace. Modern apartment consists of a bedroom, kitchen with extra bed for 2 persons, bathroom, living room and terrace. 300m from the main road to the east of Bol, on the green slopes of the island, there are located apartments “Eastern Paradise ‘. Situated in a natural environment full of olive groves, vineyards, pine trees, island stone and the sea. South side of the apartment provides a fantastic view of the ‘Martinica’ bay with the same name beach and the Dominican monastery. The view extends to the entire Hvar channel and the island of Hvar in the background. The location where our apartments are situated offer a unique tranquility and relaxation even in the peak of tourist season. 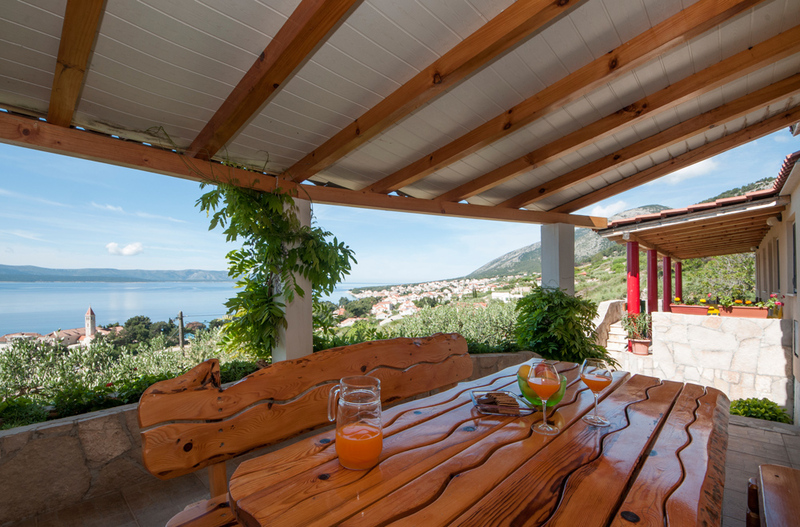 Private apartments for rent “Eastern Paradise” are located in Bol island Brač Dalmatia. 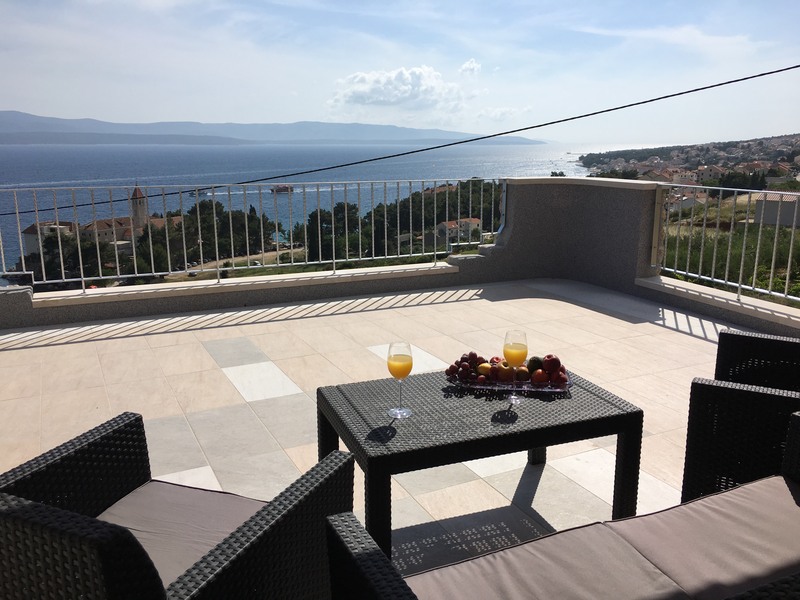 The spacious beaches that stretch the length of ten kilometers have made Bol tourist oasis on the island of Brac and top tourist destination in the Adriatic. The pride of the village of Bol is Zlatni rat, certainly the most beautiful beach of the whole Adriatic. Above Bol rises the mountain chain of Vidova Gora, the highest peak of the Adriatic islands. Bol is only 15 km away from the international tourist – sport airport “Brac”. It is linked to the fast lines with the mainland (catamaran), and ferry connection from Split to Supetar.